Published ten times a year by Tonick Media, Business Cornwall magazine is Cornwall’s only dedicated monthly business publication, featuring a lively blend of news, views and interviews from the Cornish business sector. 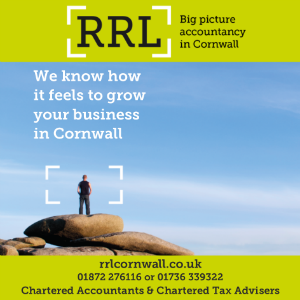 Intelligent, respectful and engaged, since it was launched in June 2006, Business Cornwall has evolved into becoming a focal point for the Cornish business community. Following demand the magazine was launched online in 2008 providing the latest Cornish business news as it happens. Editorial Director Nick Eyriey is an experienced and respected journalist having spent some 20 years in the local and national press with such newspapers as The Yorkshire Post, Today, The Sun, and the Mail on Sunday. Most recently prior to forming Tonick Media, he spent five years in the international business press with Euromoney plc. Nick is married with three children. A familiar face on the Cornwall networking scene, Toni Eyriey juggles being mum, taxi driver and bottle washer with managing the sales and commercial interests at Business Cornwall. Prior to the joys of motherhood, Toni spent many years as an advertising sales manager for local newspapers and national trade publications.